Giveaway is void where prohibited by law and not associated with Facebook or Twitter in any way. Sponsor is responsible for all prize fulfillment. Must be at least 18 years old to enter. Nutrisystem employees and their family members are ineligible. Must meet eligibility requirements to be on Nutrisystem. Applicable only to continental US; No Cash Value. Prizes are provided by Nutrisystem based on program eligibility. I would love to lose about 30 lbs. But, I would be happy with even losing 10-15 lbs. My biggest challenge is lacking the motivation to exercise. Always wanted to try out a program like this! I need to lose, but never manage to get rid of anything over 5 or 10 pounds. Would love to win this and have loved following your progress on it! I need to lose 50lbs and this would help out I’ve thought about going on a program and it seems like this would be a great choice. I need to lose 80lbs or more and so does my husband. I really worry about our health- especially my husband as he is a diabetic. 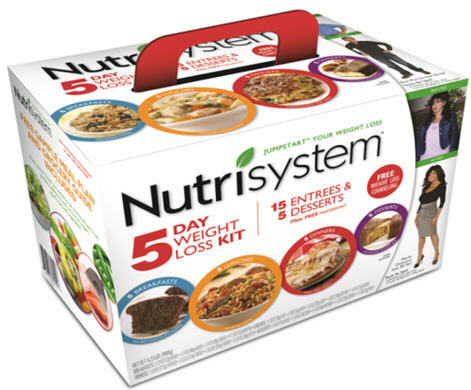 We have wanted to try NutriSystem for a while now. Years ago my mom did wonderful on it- but the food back then, honestly was not very good. I have heard it is way better now. Thank you for the giveaway and the wonderful weekly updates. I would like to lose 100 pounds….cooking for my goal and feeding the family without cooking 2 meals has been a real challenge. i would like to lose abt 10 lbs. my bigbest challenge is at night, i am not a big eater during the day…but i do eat at nite, which is bad…. I would like to lose 70 lbs. Being older (60) its harder to lose weight than it used to be. I quit smoking 5 yrs ago and now I’m bored I eat instead of grab a cigarette. I have about 80 lbs to lose… I have struggled my whole life with weight. I’m serious at this moment and will get rid of this weight! This prize would be a great and helpful tool! I want to lose about 50lbs bur I walk and move a lot so its been hard to addaddore exercise. I would love to lose 15 pounds! Thanks for the chance to win this prize! I’m looking to try to take off about 30-40 lbs. I was at 203 in December and now I’m down to 176. I had to quit eating gluten, and that has helped me make better food choices and helped with the weight loss. i also quit drinking soda completely and drink more water and exercise! I feel much better, but I’m not there yet. my own worst enemy? Besides the age thing and the stalled metabolism? I think those are my worst enemies. I need to lose about 50 pounds. My biggest challenge is learning to eat when I’m hungry and not just “because”. It’s so difficult, but I’m not giving up. Thanks! I’d like to lose 50 lbs! I will love to loose at least 15 lbs then I will be on my healthy weight, It has been difficult loose lbs over time because since the chemo the only thing i have do is gain weight like crazy, I will definitely will no like to be the weight I was then because it was unhealthy (100lbs) but I will love to get to a more healthy weight. I’d like to lose 10-15 lbs right now – my problem is I love pasta too much! I would like to lose at least 10 pounds and then see how I feel. I’d like to lose about 60 lbs.